Leeds United Disabled Organisation has been in existence since 1992, providing a "voice" for the disabled fans of Leeds United. Working hard and liaising with Leeds United FC., L.U.D.O. strives to ensure important facilities are in place, such as wheelchair places in the stadium and a disabled friendly place to relax before matches - in the Nicky Chapman, LUDO Lounge. 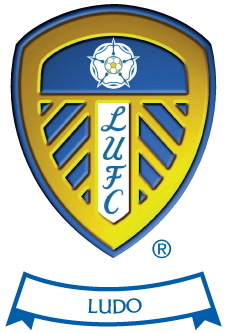 The Committee meets usually every six weeks and also with management of Leeds United to ensure good relationships are maintained. As well as "official business" we have a lot of fun too and we want you to come and join us and join in. Here are some of the many benefits of becoming a L.U.D.O. member. Car Park Passes - L.U.D.O. have been granted car park passes for the season 2018/2019 by Leeds City Council under strict rules. Car Park passes are only available to Season Ticket Holders with a Blue Badge. You are guaranteed a car parking space in a specified area at the front of Fullerton Car Park on a matchday up until 1 hour before Kick off. Should you not be there an hour before kick off then the spaces will then become available to others. There are also limited spaces on the old BRS car park behind the kop. All car park passes MUST be displayed at all times and will be checked. New signs have gone up at the car park entrance to say that if your pass is not displayed you will be wheel clamped. Presentation Evening - Our fantastic Player Of The Year event is held annually. Future Social Events - We've got all sorts of exciting events planned for our coming season! TO JOIN L.U.D.O. - Download the Membership Form below, send us an email below with your name and postal address or pop into the LUDO Lounge on a matchday. Membership per season is £7.00 with Car Park Pass or £5 without. So please come and join L.U.D.O.. We look forward to seeing you.